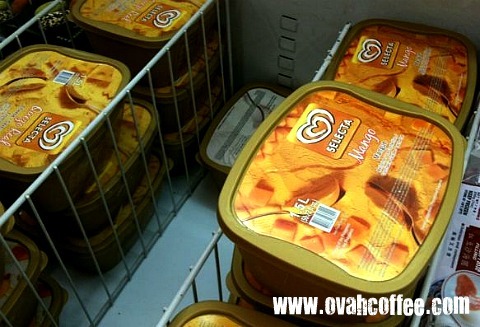 Ovah Coffee: Mango Ice Cream by Selecta - A Great Surprise! Mango Ice Cream by Selecta - A Great Surprise! When it comes to ice cream, there are only three flavours I consider my favorites. Chocolate [definitely], mocha and MANGO! I made a few homemade ice creams during the past months. I usually went with chocolate or mocha tastes simply because our kitchen does not run out of coffee and cocoa. However, whenever my taste buds wanted mango ice cream, I could not produce one. Finding the delicious and really sweet Philippine mango [called mangga Cebu] has always been a challenge. I’ve been living here in Sweden since 2007 and haven’t been lucky enough to find mangga Cebu in any grocery store I visit. Asian stores do not even sell them here so making my own mango-flavoured ice cream is nothing but a dream. Why not buy mango ice cream in stores? --- Well, I want that to be an option but it’s not. It’s next to impossible to find even a pint of it in stores in Sweden. So, the best thing for me to do is wait until I get to fly to the Philippines for a vacation and eat as many mango ice cream as possible. Lucky me! 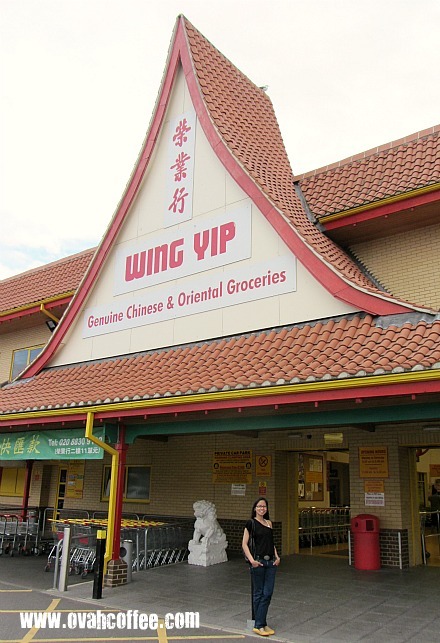 --- On our second day in London [7 August], Bebe and Lo took me to an Asian store after our first day of shopping at St. Ann’s and St. George’s Shopping Centres. They took me to Wing Yip which really made my day. We got there an hour before their closing time. I still had time though to get hold of the Filipino food I want. At Wing Yip, London. 10 August 2011. Well, I went home with a gallon and a half of mango ice cream by Selecta. Woohoo! Actually, I walked pass the ice cream section. It was Bebe who spotted the Selecta corner. He told me to check it out and my eyes really brightened up because there it was… lying in front of me… the mango ice cream! The Mango-flavoured ice cream by Selecta at Wing Yip. 1.5 Liters for £7. How about you? What’s your favorite flavour when it comes to ice cream? Do you make it or do you just go to the store and grab a pint?